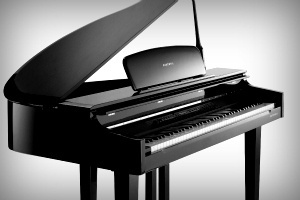 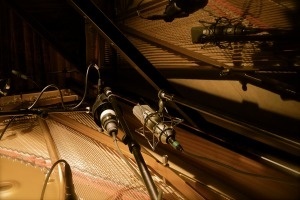 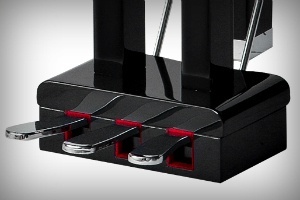 The Concert Grand Piano Experience. 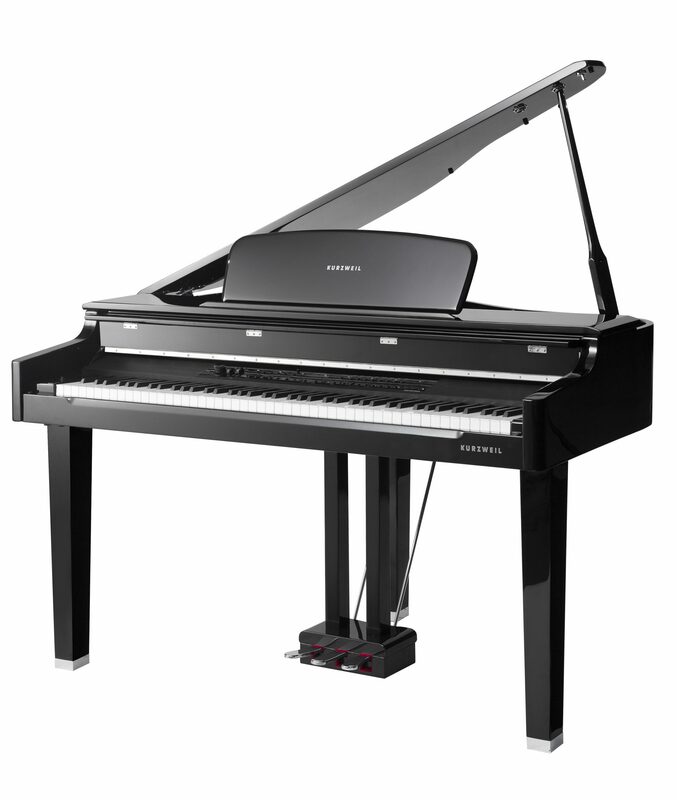 Our German 9′ Concert Grand breaths with amazing tone, realism, and expression far beyond what you thought possible in a digital piano. 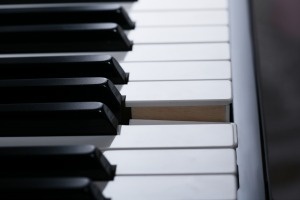 Authentic wooden keys with graded Italian-hammer-action for real piano performance. 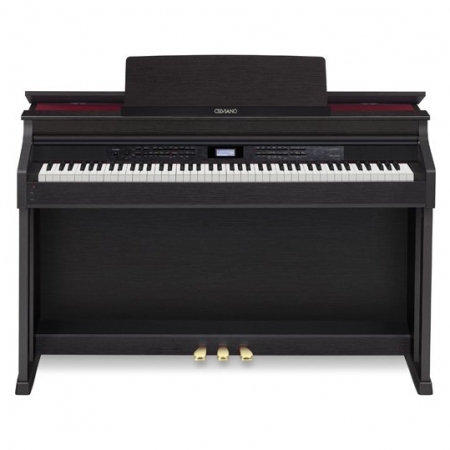 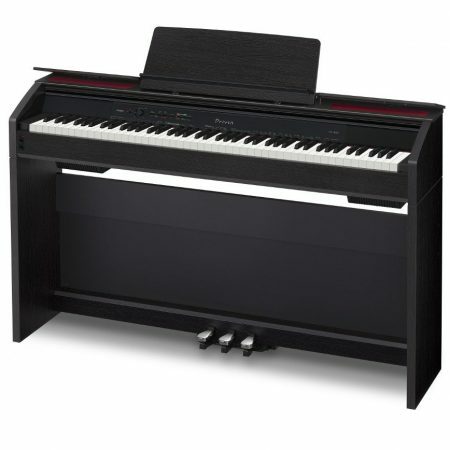 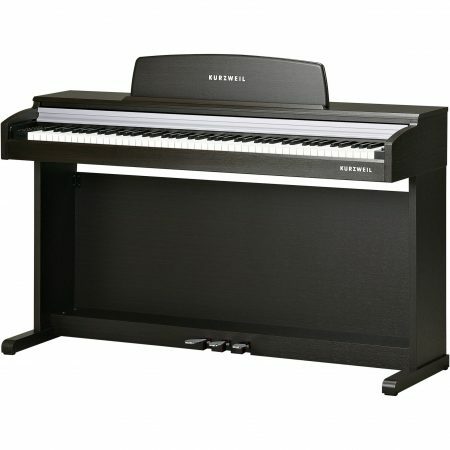 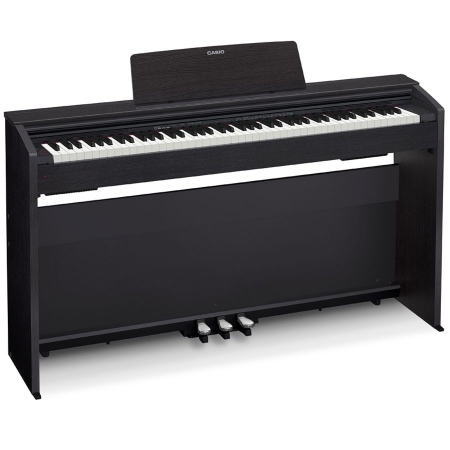 Spinet-stye cabinet available in satin rosewood or white finishes, featuring a built-in music stand, slide-out fallboard and powered by a 200 Watt 4-speaker, stereo sound system. 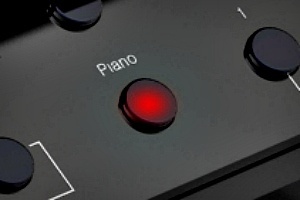 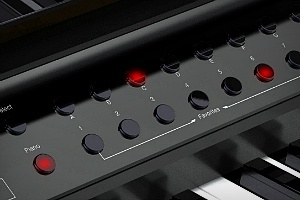 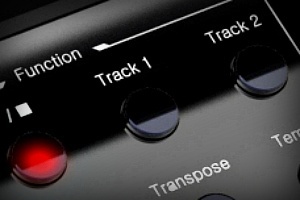 With the easy-to-use 2-track song recorder, you can record and store up to 20 of your own keyboard performances.